A vinyl car wrap is a great way to temporarily change a vehicle’s appearance. You can wrap your car for purely aesthetic reasons, maybe to make your vehicle your favorite color not offered by the factory, for example. But if you’re a savvy small business owner, you can use a vinyl car wrap for custom advertising to attract new customers and increase your brand visibility in a crowded marketplace. 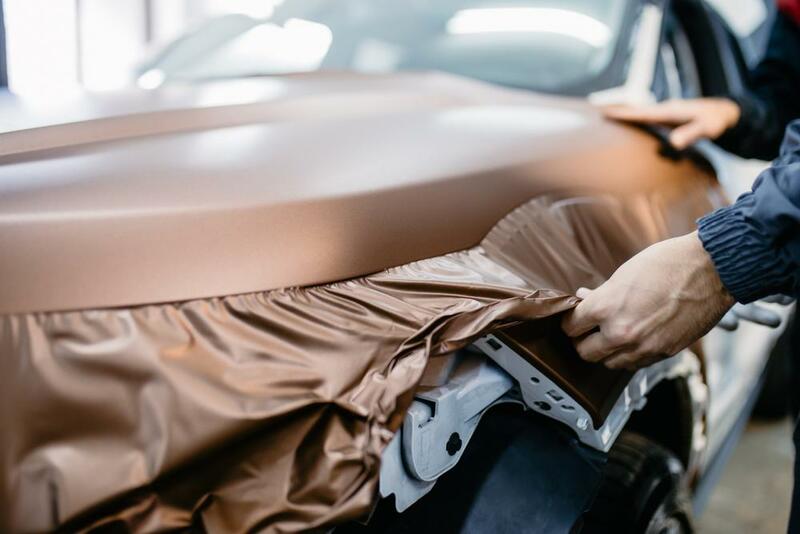 The lifespan of a wrap runs from 5 to 7 years—depending on how well you take care of it and variables like weather and where the vehicle is stored. Maybe you inherited a car with a vinyl wrap or you already have a wrap on your work truck but it’s starting to look a little sad with abrasions, lifted edges, and weathering. If that’s the case, it’s time to start thinking about car wrap removal. After all, the longer you leave it on, the harder the wrap will be to remove. Below, we’ll go into the DIY steps for how to remove car wrap as well as how to make your new vinyl wrap stand out from the competition. Keep reading for a comprehensive overview or skip to the section you want to know more about. Before we deep dive into the steps of vinyl removal, you should be aware of thefactors that impact removal difficulty . For example, the longer vinyl wrap has been on, the harder it will be to remove. By the same token, it’s more likely there will be adhesive residue left behind the longer the wrap has been on the car. 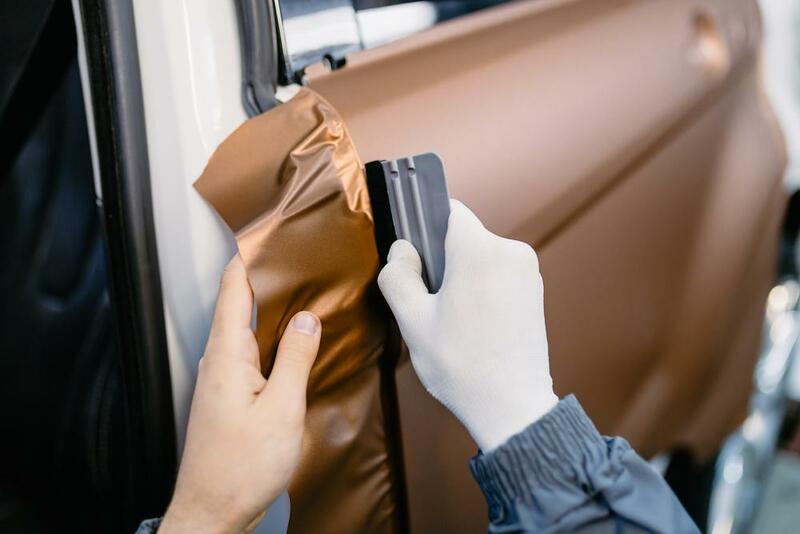 Vinyl becomes brittle over time so if a vinyl wrap has been on a vehicle for say, ten years, it’s going to be a labor-intensive process to remove all of the chips and pieces. On the other hand, if the vinyl wrap is under four years old, there’s a good chance you can make it a weekend DIY project instead of taking it to a vinyl removal company. More than anything, the removal process will demand a lot of patience. Another element that will affect removal is the actual type of vinyl used. Calendared or off-brand vinyl will make the wrap removal process more unpredictable and possibly more expensive. It’s definitely a case of “you get what you pay for”. The big-name vinyl companies charge a premium because their research and development processes are much more robust. These companies have an incentive to protect both their brand name reputation as well as perceived and actual value in the market place. Companies that hawk cheaper vinyl are more concerned about selling high volume. Before you commit to removing the entire vinyl yourself, try to remove a small portion first. If it chips off in small flakes, it might be best to leave the job up to professionals. But if you find that the vinyl comes off relatively easily once heat is applied, you’re in good shape to do it yourself. Don’t remove your car wrap when it’s cold out, in direct sunlight, or during other adverse weather conditions. Not only will this make you miserable, but it’ll also complicate the removal process unnecessarily. Okay, now with all this information in mind, it’s time to get down to it. Here are the steps you should take to remove your vinyl car wrap. Heat the vinyl according to vinyl manufacturer specifications (generally 65 degrees and up) using a heat gun or another heat source. Make sure the heat gun isn’t in one spot for too long—you don’t want the vinyl to bubble or start to burn. Heat gun: the heat needed to remove the vinyl will depend on the vinyl manufacturer. Peel a corner or edge of the material and slowly pull at a 45-degree angle. This ensures that the vinyl doesn’t tear or break apart. Whatever you do, don’t yank at the vinyl. Yanking could cause the vinyl to pull up with the laminate left behind, which is incredibly difficult to remove. The hood is a good place to start but if you want to tackle the harder stuff first, go for the vinyl around the bumpers. Note: Primer isn’t needed to properly install a vinyl wrap but some companies use it to speed up the process. If a primer has been used, you’ll have a harder time removing the adhesive left behind. Unfortunately, a primer can also mean that paint may be scratched or partially damaged during the removal process. Plastic razor blades: designed to slide under vinyl to pry it up. Keep your pulling pressure, angle, and speed consistent while you’re peeling off the vinyl. Take extra care around deeply contoured areas of your car. There may be residue leftover from the vinyl adhesive. If this is the case, you can use a solvent that’ll help break it down. You may want to check with the vinyl manufacturer to find out brands that are safe to use with your particular vinyl wrap. Crystaltek 10-4 Biodegradable vinyl remover : Wipe it on, wait for a few minutes, and then peel off the vinyl and adhesive in one fell swoop. Rapid Remover : This is another great option you can use to break down the adhesive. Simply let it soak into the remnants of the adhesive and squeegee or gently scrape it off. Power tools: You may want to bring out the big guns if you’re trying to remove vinyl from an entire fleet of vehicles. Consider investing in a power strip eliminator which features a urethane rubber wheel to remove vinyl. Plan out your next wrap paying special attention to legibility and brand visibility. If you’re planning on revamping a single truck or your entire fleet with an updated vinyl wrap, why not grade and evaluate your design? Housecall Pro offers a “Grade My Truck” service that ensures your truck or car wrap is effectively marketing your business. You can also use the tool to see what the competition is doing with their trucks ranked and sorted by type of industry as well as your location. How does the Housecall Pro Truck Grader work? Upload your truck into the database to have it reviewed and rated. We’ll give you the advice you need to improve visual lead generation and overall branding. Find out how you rank among the competition. 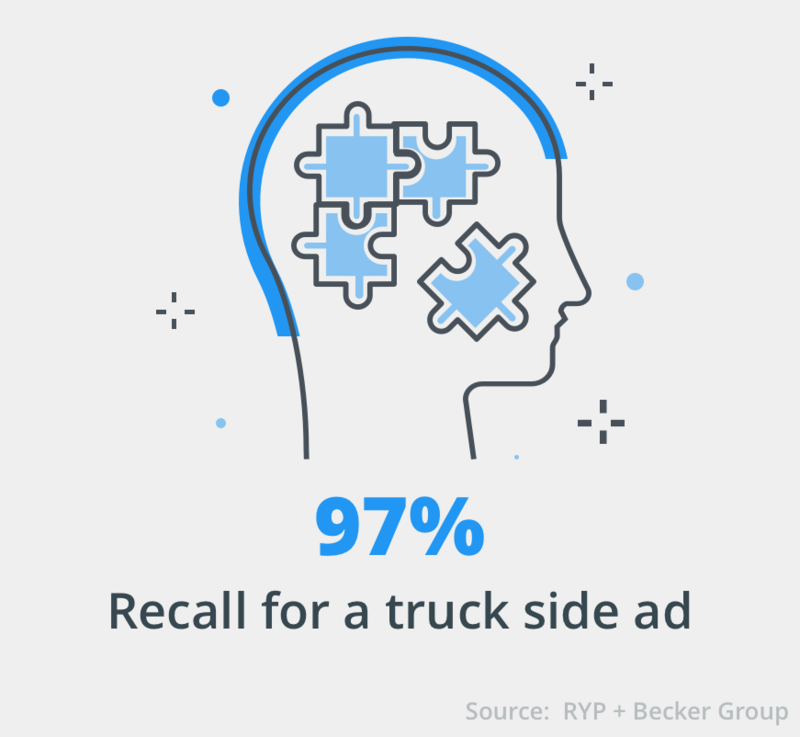 84% of Pros are missing one of the top seven key components that make a great vinyl car warp advertisement such as content, placement, legibility, branding, and uniqueness. Use the suggestions to better design your next truck wrap and get a leg up on the competition. Once you have your old vinyl off, it’s time for a new wrap that reflects your company’s professionalism and authority. And Housecall Pro’s constructive advice can help you make the most of your mobile vehicle advertising. 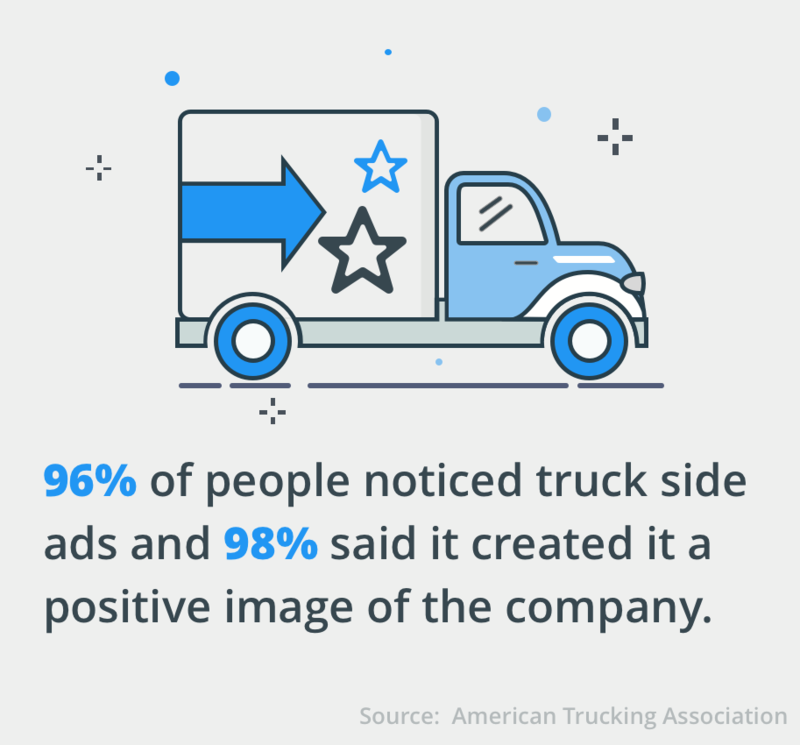 Check to see if your truck wrap is effectively building branding and marketing for your business and try Housecall Pro's Truck Grader feature today. This isn’t the time to neglect your car simply because it now has a protective layer. Just like paint, a vinyl wrap can degrade if it’s not taken care of properly. Whenever there is apparent dirt or other debris on the vinyl, make sure that you clean it off immediately. Where possible, use a spray of water to rinse dirt and road particles. For spot cleaning stains, use a wet, gentle detergent and a microfiber towel. It’s recommended you avoid wax and other finishing products on top of the vinyl. Although you can take a vinyl-wrapped car through a car wash, it’s best if it’s touched less. The scrub brushes can be too abrasive on the wrap and cause it to tear or peel at the edges. Be mindful of this before pulling into any old car wash. The safest option is to simply handwash your vehicle so you can clean it without the risk of scratches and lifting. If you leave your new vinyl wrapped vehicle in the sun, they can quickly degrade in quality. You’ll see weathering in the hood, trunk lid, and roof if left out in the elements for too long. If you can, the ideal place to store a vinyl wrapped car is a garage or a shaded area. Dew or rain can contain acidic pollutants so make sure it’s covered during adverse weather. If you don’t have a garage, you might want to protect your car wrap with a cover. The car wrap removal process requires patience, the right tools, and a little elbow grease. Before committing to a new vinyl wrap design, make sure to upload the old wrap into the Housecall Pro Truck Grader tool so you can get effective, actionable advice to make your vehicle advertising better than ever.